Worship as you sail across the Sea of Galilee. Visit Capernaum, center of Jesus’ ministry in the Galilee, and visit the synagogue built on the site where Jesus taught (Matt.4:13, 23). On the Mount of Beatitudes, contemplate the “Sermon on the Mount” (Matt. 5-7). Explore the Church of the Fish and the Loaves at Tabgha, traditional site of the feeding of the 5,000 (Luke 9:10). See the Chapel of the Primacy, where Peter professed his devotion three times to the risen Christ (John 21). In Magdala, once home to Mary Magdalene, visit a recently discovered first-century synagogue. Recall Jesus’ baptism by John the Baptist at the Jordan River. As you stop in Jericho to view the ruins of the city conquered by Joshua (Josh. 6: 1, 2, 20), in the distance, you can also see the traditional site of the Temptation of Jesus (Matt. 4:1-11). Continue to Qumran, where the Dead Sea Scrolls were discovered in 1947. 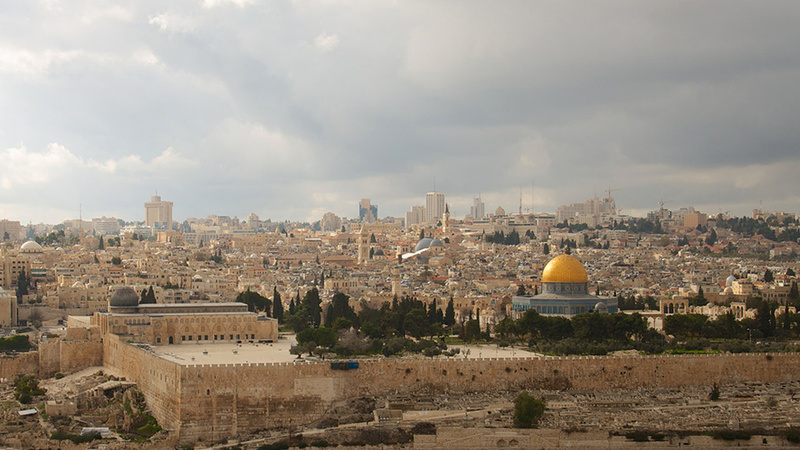 End your day with a group picture taken from the Mount of Olives, where Jesus ascended into heaven (Acts 1: 9-12). In Bethlehem, visit the cave revered as Jesus’ birthplace and see the Church of the Nativity constructed over the site (Matt. 1: 18-25). Gaze out over Shepherds Field before you returning to Jerusalem. Pray in the Garden of Gethsemane and envision the scenes of the night before Jesus’ crucifixion (Matt. 26: 36 - 44). Continue to Mount Zion to visit the House of the High Priest Caiaphas, where Jesus was questioned the night of His betrayal (Matt. 26: 57). Meditate on the events of the Last Supper as you visit the traditional location of the Upper Room (Mark 14: 12). Walk the Cardo, the ancient main street of the Old City. 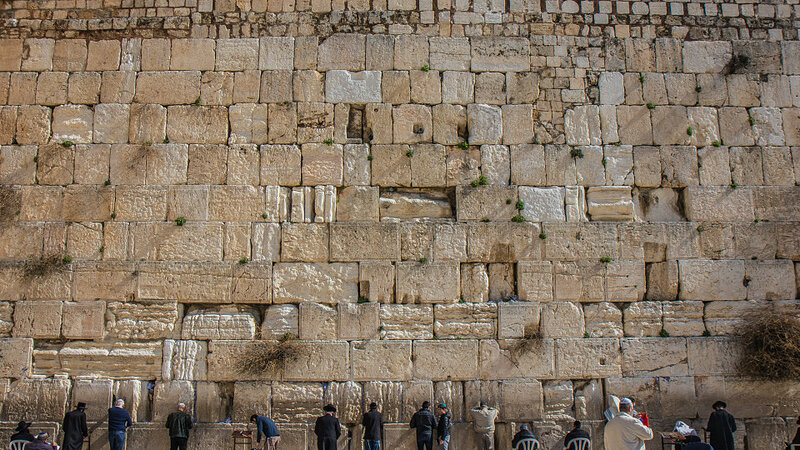 Explore ancient Jerusalem at the Teaching Steps and the Western Wall. view the Pool of Bethesda where Jesus performed the Sabbath miracle (John 5: 1-31). Sing a hymn in the Church of St. Anne and experience its rich acoustics. Visit Herod’s Antonia Fortress, where Jesus appeared before Pontius Pilate (Luke 23:1), and follow in Christ’s steps on the Via Dolorosa ("the Way of the Cross"). At the Church of the Holy Sepulchre, take time to reflect on His sacrificial love. Travel to Ein Karem, birthplace of John the Baptist and where Mary visited Elisabeth (Luke 1: 26-40). Explore the poignant exhibits of Yad Vashem, Israel’s Holocaust Memorial. Visit the Garden Tomb for a time of reflection and communion. Day 10 Return to the USA or Enjoy an Extension. Return to the USA on your international flight or join an extension. Day 10 - Cross the Allenby Bridge into Jordan. Visit Jerash. Overnight in Amman. Day 11 - Visit Mt. Nebo & Madaba. Overnight in Petra or at the Dead Sea. Day 13 - Free Morning at the Dead Sea. Cross border back into Israel. Dinner in Jerusalem. Day 10 - Follow the Ancient Caravan Route to Mount Sinai. Day 11 - Visit the Monastery of St. Catherine before continuing to Sharm el Sheik for dinner and overnight. Day 12 - Stop at Wadi Feran, Elim and Marah by the Red Sea on your way to Cairo. Dinner and overnight in Cairo. Day 13 - Visit Memphis & Saqqara. View the Step Pyramid, the Great Pyramids at Giza and the majestic Sphinx today. Dinner and overnight in Cairo. Day 14 - See King Tut's Treasures and explore the Egyptian Museum. View the Citadel of Old Cairo and stop at the Coptic Church. This evening you will sail the Nile on an authentic Egyptian Felucca. Dinner and overnight in Cairo. Day 12 - Fly to Luxor and board your Nile cruise boat. You will visit Luxor and Karnak Temples late this afternoon. Day 13 - Visit the Necropolis of Thebes before exploring the Valleys of the Kings & Queens. See the Temple of Hatshepsut and the Colossi of Memnon. Sail to Esna and cross through the Nile locks, before sailing to Edfu. Day 14 - Explore the Temple of Horus in Edfu this morning. Sail to Kom Ombo and visit the Temple there shared by the gods Sobek & Haroeris this afternoon. Sail to Aswan this evening. Day 15 - Disembark your Nile Cruise boat in Aswan this morning. Visit the High Dam of Aswan and the Granite Quarry nearby to see the unfinished obelisk. Explore the Temple of Philae before flying to Cairo for dinner and overnight. Day 16 - See King Tut's Treasures and explore the Egyptian Museum. Visit Saqqara. View the Great Pyramids at Giza and the majestic Sphinx today. Dinner and overnight in Cairo. Day 10 - Free Day in Jerusalem. Day 11 - Journey to Taybeh in the West Bank. View Shilo and visit Nablus. See Mount Gerizim and Mount Ebal before visiting Jacob's Well and Tel Shechem. Overnight in Bethlehem. Day 12 - Visit the Judean Wilderness and enjoy a traditional shepherd's meal. Overnight in Bethlehem. Day 13 - Visit local ministries in Bethlehem. Visit Solomon's Pool and travel to the Herodion. After dinner, travel to the airport for your return flight home. Day 10 - Hike from Nazareth to Sepphoris (5 Miles). Travel to Kibbutz Lavi for dinner and overnight. Day 11 - Hike from Kibbutz Lavi to Moshav Arbel (8-10 miles). See the Horns of Hittim & Nebi Shweib (sacred Druze site). Return to Kibbutz Lavi for dinner and overnight. Day 12 - Hike from Mount Arbel to Capernaum (10 Miles). 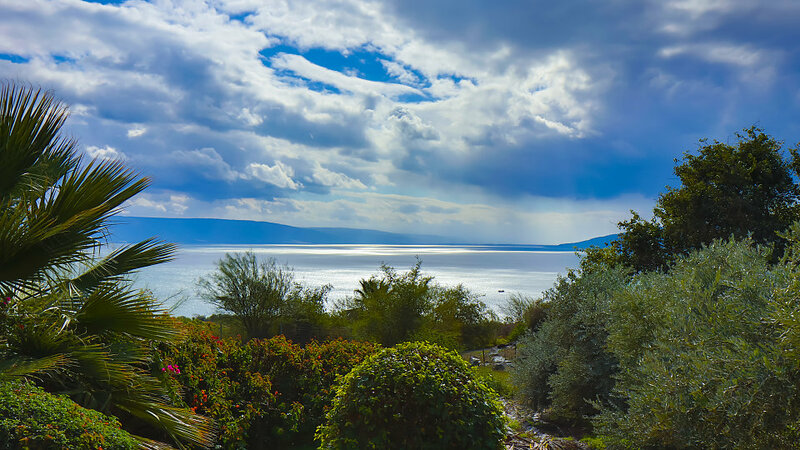 See stunning views of the Sea of Galilee, Wadi Hamam, Sapir, Tabgha, the Church of St. Peter's Primacy and Capernaum. Dip your feet in the Sea of Galilee and rest before returning to Kibbutz Lavi for dinner and overnight. Day 13 - Enjoy a Day of Rest or join the optional Horseback Riding & Kayak trip ($125 additional). Dinner at Kibbutz Lavi.